Sam Newman is one of the Australian media and Australian football’s most colourful characters. Ever popular and often controversial, his playing career speaks for itself. In the course of playing 300 games over 17 seasons, all with the Geelong Football Club, he represented Victoria in state of origin competition eight times and was selected as an All-Australian. Playing mainly as a ruckman but often at centre-half forward, he spent his entire VFL/AFL career with Geelong after being recruited from the Geelong Grammar School in 1964. Newman won best and fairests in 1968 and 1975 and retired in 1980 with 100 Brownlow medal votes. Newman was inducted into the AFL Hall of Fame in 2002 and is an official “Legend” of the Geelong Football Club. In 1981, following his retirement, Newman joined radio 3AW as a commentator and later joined Channel Seven’s World of Sport program where he remained for seven years. Newman’s most loved and criticized role is as co-host of Channel Nine’s award winning The Footy Show. His unforgettable antics are nothing short of legendary. Away from the media, Newman has provided ruck coaching to various AFL players and has previously served as a ruck coach to the Melbourne Football Club. 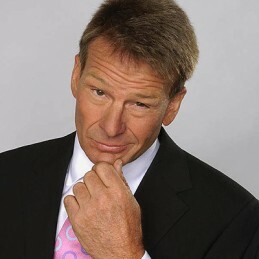 Sam Newman is a popular host and unique public speaker suitable for corporate and sporting events.